CHARLOTTESVILLE, VA—Excitement over college basketball’s National Invitation Tournament reached a fever pitch Tuesday as the teams of the Exclusive Eight prepared to play for the chance to compete in next week’s Last Four at Madison Square Garden. “Reaching the Exclusive Eight is nice, but you know these teams are thinking Last Four,” said ESPN commentator Tim Welsh about the field that remained after half of the Good Sixteen were eliminated over the past two days. “The choosing board set the initial field of 32, we all filled out our winners charts, and so far The Great Big Party has more than lived up to its name. 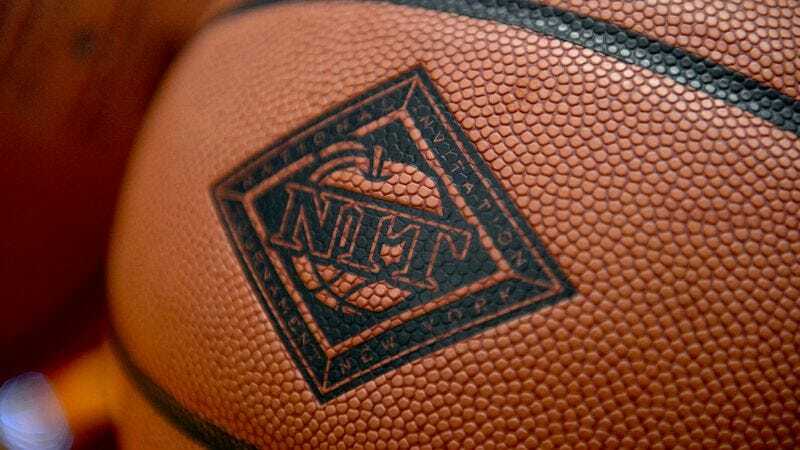 But who will take home the NIT Victory Certificate? Folks, this is what Crazy March is all about.” The 2013 tournament has been especially compelling thanks to the electrifying play of Providence guard and NIT Most Useful Player award frontrunner Bryce Cotton, who many believe has a good chance of one day playing in the ABA.